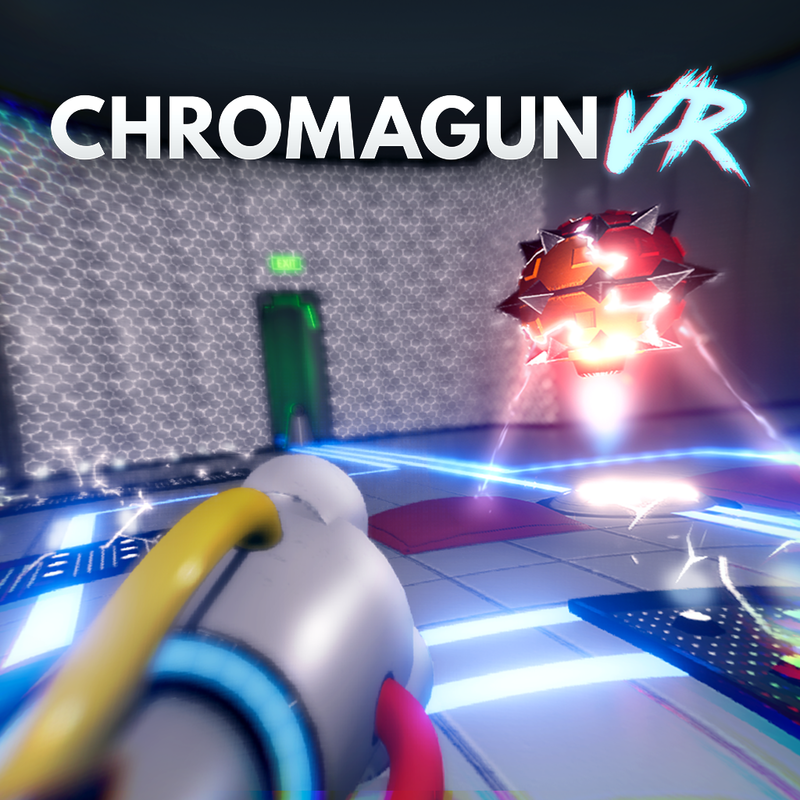 ChromaGun VR - Mix Colors, Solve puzzles! 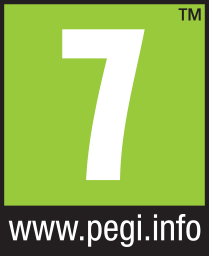 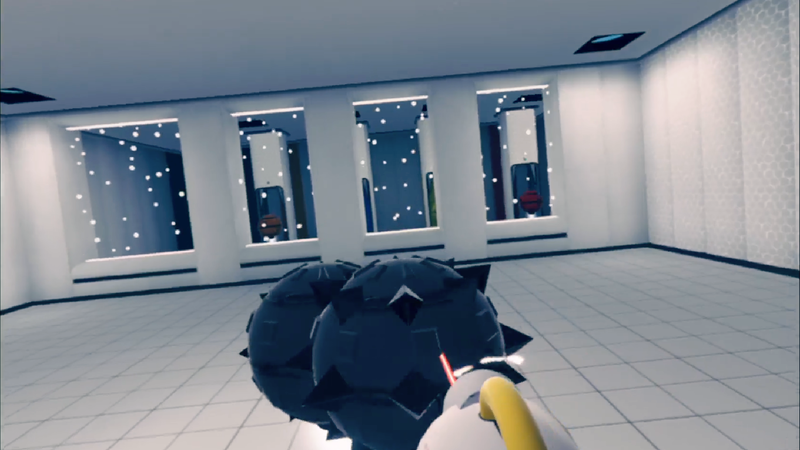 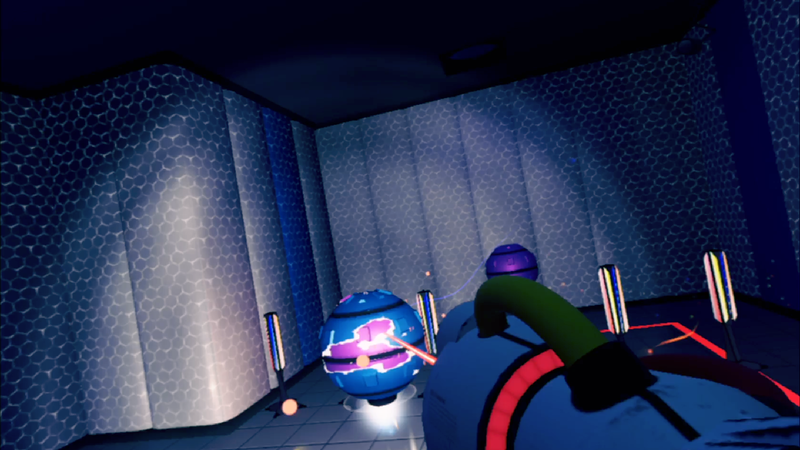 ChromaGun VR is a first person puzzler about colors, exclusively for PlayStation VR, with support for the Aim Controller. 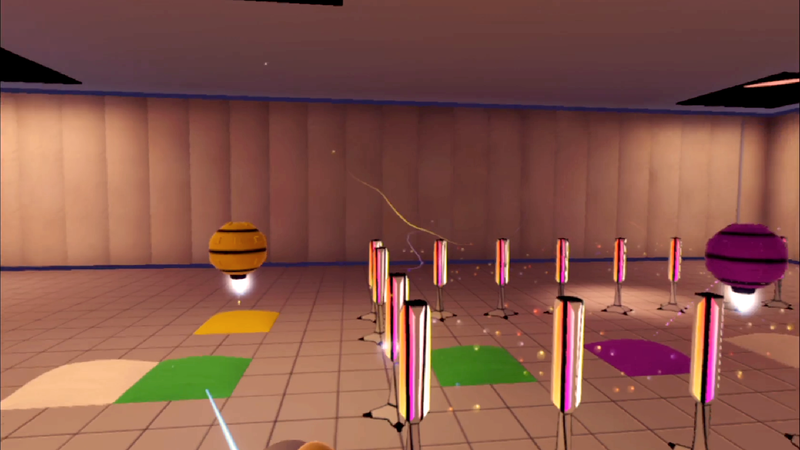 The basic principle is as easy as applying it is complex: Exit the chambers via the exit doors. 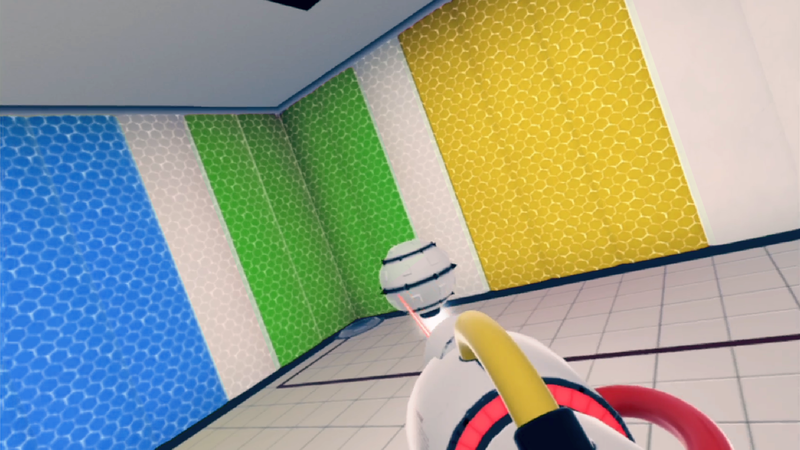 Use the ChromaGun to colorize walls and WorkerDroids to progress in the chambers. 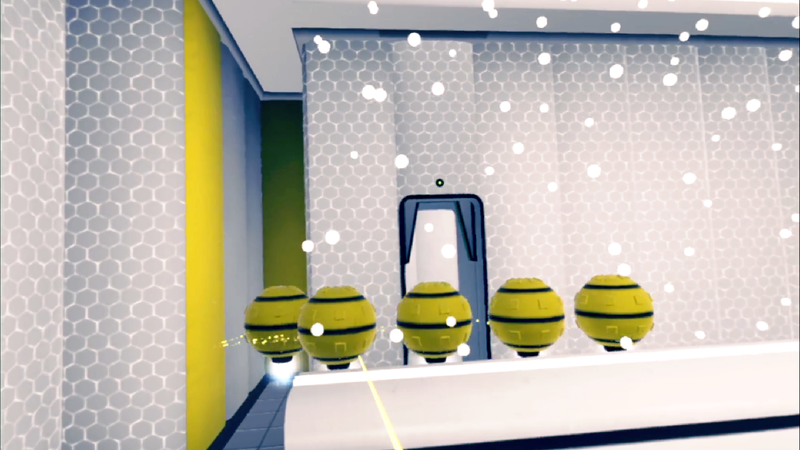 WorkerDroids (the players’ main cause of headaches in ChromaGun) are attracted to walls of the same color and can be used for a variety of tasks like opening doors, activating triggers or removing the danger of deadly electrified floor-tiles by mercilessly sacrificing them. 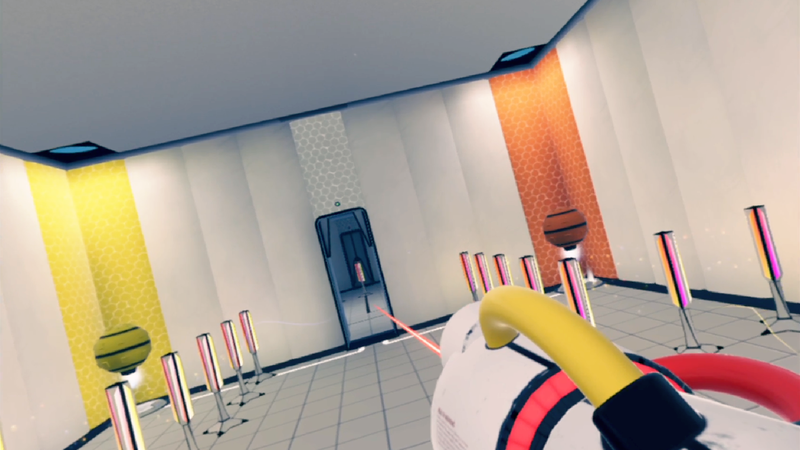 ChromaGun VR encompasses eight chapters of mind-melting puzzles and witty background-narrative.